We love our grilled food at The Wine Company, especially during a nice summer evening on our company patio playing a little bocce ball and listening to great music. What to drink with grilled food is a topic that comes up every summer, and this year we have three great suggestions. A great wine for grilled fare should have firm acidity (to keep the palate fresh), good body (to not be overwhelmed by the meat and spices), and a balance that compliments the food rather than competing with it (we’ve found, much to some winery’s dismay, that big, alcoholic, oaky, full bodied wines simply don’t dance well with most grilled fare). Which takes us to these three beautiful wines. 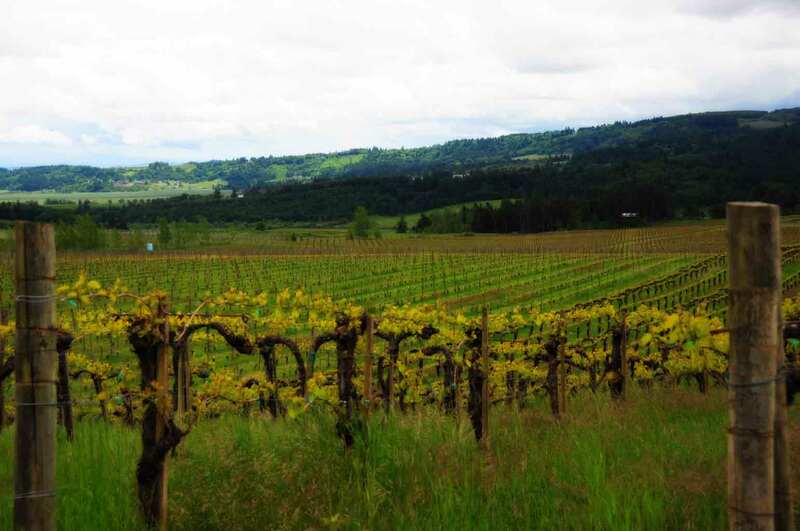 You can find the wines at the locations listed at the end of this post (it’s auto-updated as new stores order the wines, but always call ahead for availability). 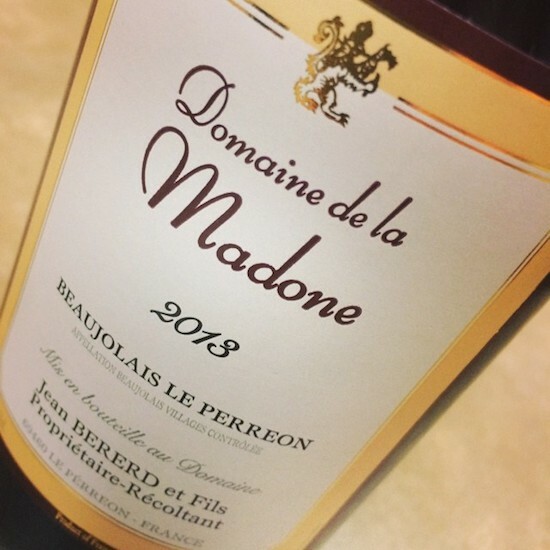 Domaine Madone, Beaujolais “Le Perreon” 2013 – It’s hard to imagine that anyone’s “top wine for grilled food” could retail for under $18, but therein is the idiosyncracy AND KILLER VALUE present in Beaujolais today if you dig around the region for a while. Olivier Berard’s family has been making wine around the village of Perreon for over 400 years. In fact since Perreon is Olivier’s mother’s maiden name it’s unclear whether this wine is an homage to the local terroir or to his ever patient mother (I’m betting he told his mom it was for her…). In any event while the appellation here is “basic” Beaujolais the terroir, style and quality is all Cru Beaujolais. Granite, limestone and clay based vineyards combined with Burgundian winemaking techniques (no carbonic maceration here) result in a heck of a tasty wine at a totally “try me” kind of price. 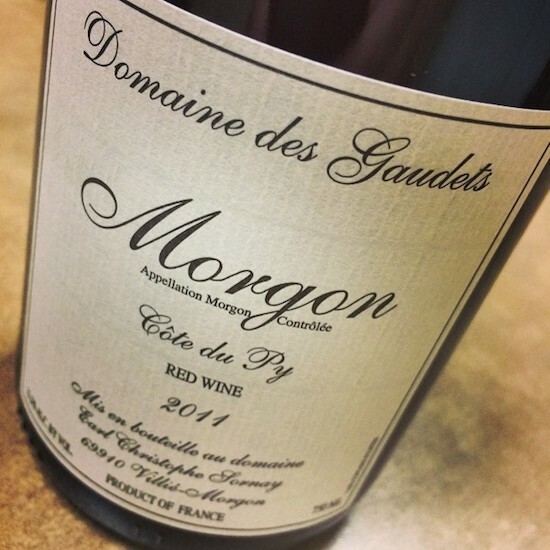 Domaine Gaudets, Morgon “Cote du Py” 2011 – Here is another “you will not believe the value of available in Beaujolais right now” wine. The slope of the “Cote du Py” is pretty universally regarded not only as the greatest vineyard site in the Cru appellation of Morgon but probably the top vineyard site in all of Beaujolais. If Beaujolais had a “Grand Cru” (they don’t) Cote du Py would be it. 5th generation family winemaking, hand-picked, whole cluster, small lot, punch down “Burgundian style” vinification make the Gaudets “Cote du Py” an almost ridiculously tasty and classy wine. As a bonus, 2011 is an outstanding vintage in Beaujolais. On a personal level, I am looking forward both to drinking a lot of this wine in the next couple of years as well as putting some into the cellar to see how it evolves over the next 5-7. 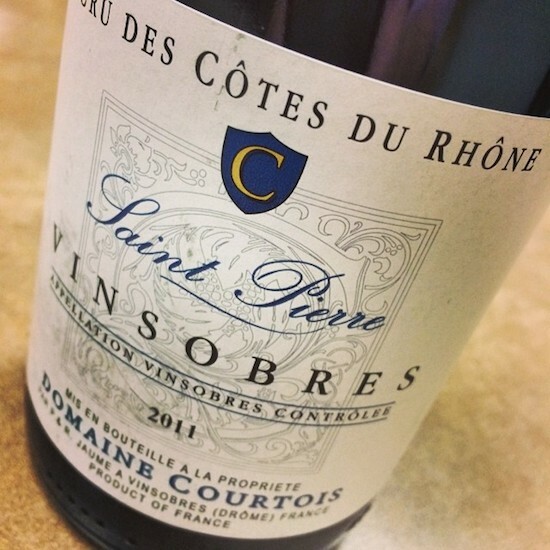 Domaine Courtois, Vinsobres “St Pierre” 2011 – The Domaine des Courtois “La Source” Cotes du Rhone is one of my favorite Cotes du Rhone in our book because it is a lighter, fresher more delicate take on this appellation. As the heart of the Jaume family estate is in the cooler, higher altitude, northerly district of Vinsobres they have a great focus on Syrah based wines from this most Northerly of the Southern Rhone appellations. We’ve held off buying this wine for a number of years, but when they showed us the 2011 we just couldn’t resist bringing it in. 50% Syrah, 40% Grenache, 10% Mourvedre this wine has a great, high-toned spicy and satisfying barrel aged quality. It’s a ton of wine for the money from an awfully nice family. Locations where these selections are available are listed alphabetically by city. Be sure to call ahead for availability.